Also, the first ranked author will each have their novels be recommended on the front page for this week. Love might appear common, but it is extraordinary. The world is huge, so it can only be described as a miracle for two people among billions of people to fall in love with each other. If one crosses time and space, wouldn't the chances of meeting love be even smaller? Would such love be even more precious? It is love that links them across distance and time—time that might span centuries, or even a thousand years. Love stories that transcend space-time is well-liked by many readers. Such stories have been repeated in both literature and in film. Regardless if the transmigrator is male or female, or them going to the future or a virtual world, they are definitely aliens in that era, making them extraordinary. When values from two different generations clash in the same space-time continuum, it can give off sparks of attraction. A love that transcends space-time always makes one's heart palpitate. I believe everyone has watched romantic movies which depict transmigration. All of you definitely have your own inspirations and ideas, so why not try develop it? Make it your story. Let a protagonist follow your wishes~ Apart from that, we can provide everyone with some references. Cyberpunk novels are a subgenre of science fiction novels. Cyberpunk stories typically take place in the future, either on Earth or in a fictional interstellar universe. These stories will almost always have advanced technology and computing systems, where humans live together with artificial intelligence and society is well ordered. But as for cyberpunk stories themselves, they’re actually more dystopian in nature. The main character is usually just an individual fighting against the tremendous social structure. Of course, there’s no strict limitations on the topic of this particular writing prompt. There’s no requirement on hard science vs. soft science or for it to be dystopian. As long as your story is about the future, advanced technology, a highly developed society, and don’t forget the most important of all, it’s punk, then feel free to join this writing prompt! When you create your new novel, you can choose any genre that you wish. Then, the writing contest options will appear. 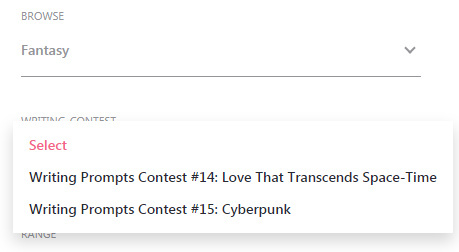 Choose the [Writing Prompts Contest #14: Love that transcends space-time] or [Writing Prompts Contest #15: Cyberpunk] option in order to participate in this contest. 1.The main topic of your novel should be the Love that transcends space-time or Cyberpunk. Otherwise, it shall be treated as an invalid entry. 3.The contest will take place from September 10, 2018 to September 16, 2018 (GMT +8). How do I Enter already created work? Also, the first ranked author will each have their novels be recommended on the front page for this week. Today the gift cards rewards shall be emailed out. 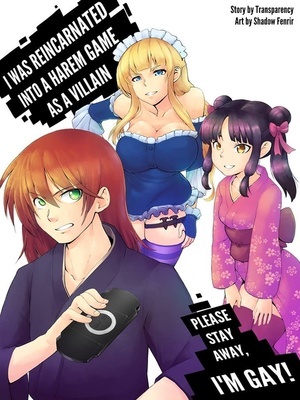 WEBNOVEL_OFFICIAL so 2-5th placer's won't get any front page recommendation!?! I ranked 2nd In WPC#12. Why didn't I get any emails and gift cards? I got 2nd place in WPC#12 but why I still didn't get any email or gift cards? And can I participate in WPC#14 contest with the same novel I used in WPC#12??? Looks like I won Contest #13. I had some very supportive readers this time around. Thanks so much for voting guys! Written for writing prompt contest #13. Steampunk theme. I think fans of My Hero Academia, Naruto, and Avatar will enjoy it. I look forward to reading some authors Cyberpunk this week. I wish I could enter but two novels is my limit! Lol. 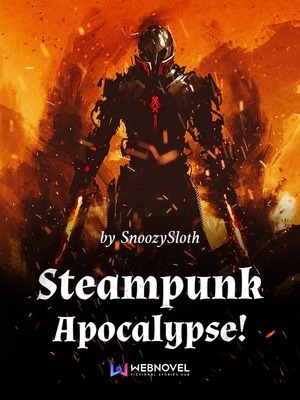 @LawCol I read the first few chapters of your Steampunk entry and loved it. I haven't gotten around to finishing it, but when I do I'll make sure to leave a review. SweetsTomato Still writing perhaps... Back to editing. Gwahahaha. Is no one joining this prompt? Description: Ashoka was just a normal girl (and minor celebrity in her school) on a field trip until she almost got killed by her tour guide, fell into a hole that brought her to "Emesderal" and died. She thought her life would have ended then and there but there are secrets her family hadn't told her. Secrets about their origins and the "birth mark" on her chest. That's correct. Only 1st gets recommended on the front page. However, if you keep updating your novel it may appear on the front page anyways. My 1st novel lost a writing contest and has already appeared twice on the front page under the daily updates section. SnoozySloth I got 2nd place in WPC#12 contest. Why I still didn't get any emails or gift cards? If no one enters these contests can I create one sentence novels to win prizes by default? Hey all, wrote this for the cyberpunk prompt. I love fantasy, so I tried mixing and mashing that with cyberpunk. The result was a cybperunk world where fantasy races like elves and orcs have to rely on technology to survive rather than something like magic. You have mafia-like gangs made of elves, mechs, and a whole host of other sci-fi elements that clashes with a re-discovery of magic via the MC as he, a member of a demon race, rekindles a forgotten past of gods and magic by connecting with a deity that chooses him as an avatar.